The Clos des Brusquières is an old property, owned by the Courtil-Thibaut family, whose cellars are located in what appears to be a family house on the edge of the village. It’s a very low-key operation, run by Claude and his two sons, David and Jérome. 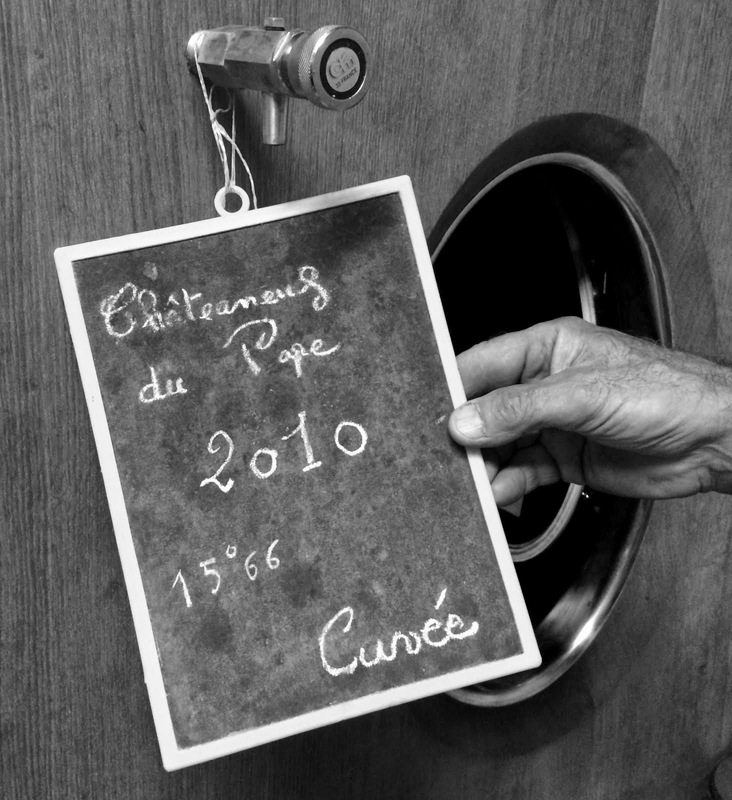 Inherited from his grandfather, Claude’s father died when he was only three years old and so the vineyard was rented out for several years until he was old enough to take control. Fortunately, Claude had a mentor – who was also happened to be his Godfather – a local vigernon by the name of Henri Bonneau. I’ve never met the man, but I’ve read enough about legend and his wines to draw some comparisons to the traditional winemaking style at Brusquières, even if that’s where the similarity ends. Claude is a modest and humble being which, I imagine, is the antithesis of everything I’ve heard about Bonneau. The domaine extends to some 10 hectares of vines, divided into numerous parcels, including one within the walls of the château itself. The vineyards include all thirteen varieties permitted in the appellation but, like Bonneau, there is a strong reliance on Grenache, which accounts for up to 80% of the blend. The white varieties are simply vinified with the red grapes, since there is only one single red expression of Châteauneuf-du-Pape produced here. The vineyards are not worked organically, but are treated under the system of lute raisonnée. There is nothing systematic about the winemaking, but outside of the Grenache, up to four varieties are likely to be harvested and vinified together. 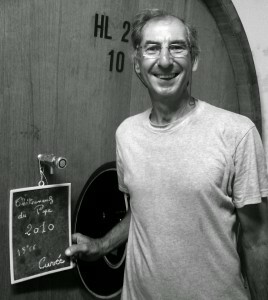 Usually Claude prefers to de-stem about two-thirds of the crop and conducts a cold pre-fermentation maceration. 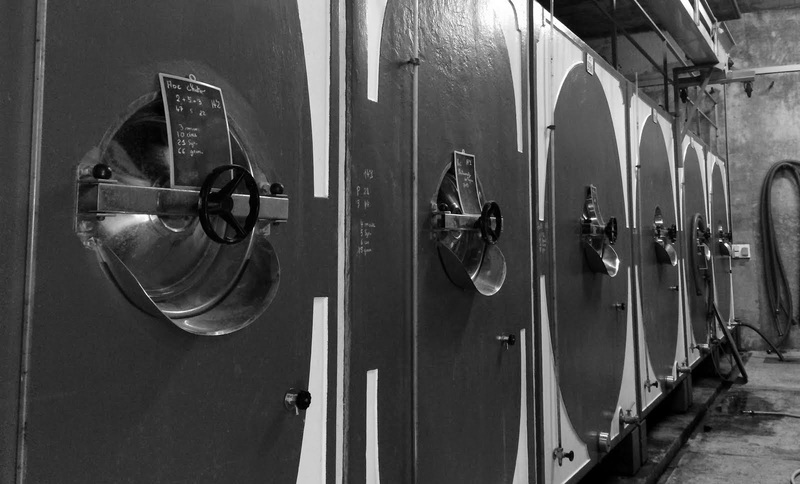 The wines are fermented and stored in a bank of large concrete vats, although a rotational system sees all of the blend passing through a number of ancient fûts at some point in their élevage. Until 1996, the entire production was sold off in bulk to Guigal and Mommessin. Even today, some tanks are disposed of en-vrac. Since only one wine is made, the family elect to bottle on demand, one vat at a time, which also means that they may well sit on two or three vintages in the cellar. Invariably, there is a difference in each bottling, which is less to do with the blend, but simply how the wines have evolved in tank prior to being committed to bottle. There are three vintages currently available, although we are concentrating on the 2010 for the immediate future. This was a hot vintage and it is expressed in the wines of the southern Rhône generally. The alcohol is 15.5% but the wine displays a lovely pure fruit profile. Persistent and supple. There is a question mark over the potential longevity for the vintage. 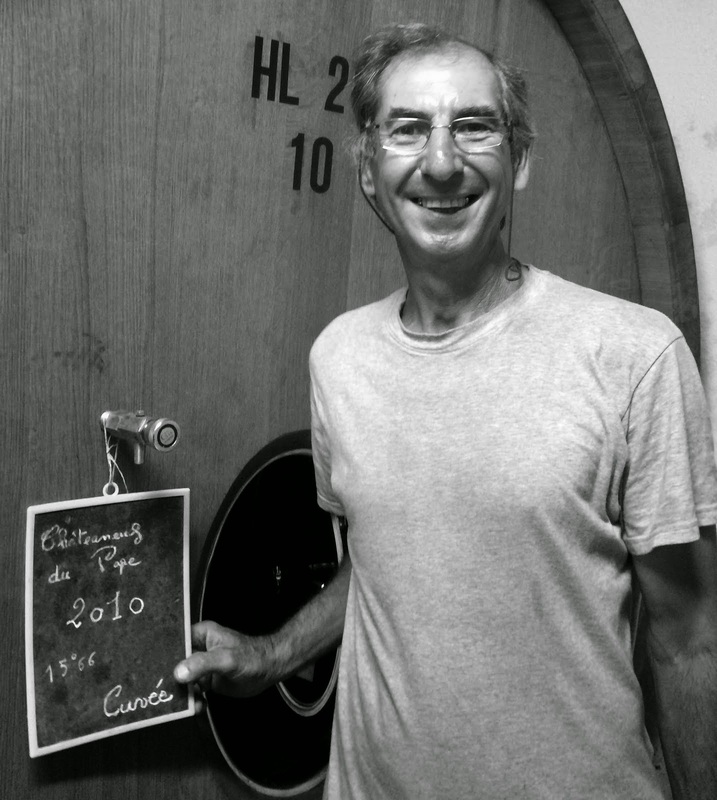 Claude commenced bottling in May 2014 – at the request of his American importer. Too soon in his opinion. There is a very good purity of fruit here. Already spicy and complex. Like the 2010, it has noticeable freshness in the acidity which again helps to temper the 15% alcohol. There’s a tautness and tannic grip to the finish which bodes well for the future.